Easy to whip up and a gorgeous crowd-pleaser, this sumptuous chocoholic’s dream is Vegan, gluten-free, refined sugar-free and even nut-free, so you won’t have to worry about accommodating your guests’ dietary requirements. The avocados the mousse a gorgeously smooth and creamy texture, yet you wouldn’t even know they were there as the mint and cacao give a beautiful flavour. Full of good fats, fiber and essential minerals – this mousse could also make a cheeky Christmas morning post-workout breakfast. Place the avocado in a food processor or blender and blend until smooth. While the avocado is blending, sift the cacao powder into the coconut milk and whisk together, trying to remove any lumps, until the mixture starts to thicken and is smooth. Once the avocado is blended into a smooth paste, add the chocolate mixture to the blender, as well as the salt, maple/coconut syrup and peppermint oil. Blend for until smooth and fully combined. 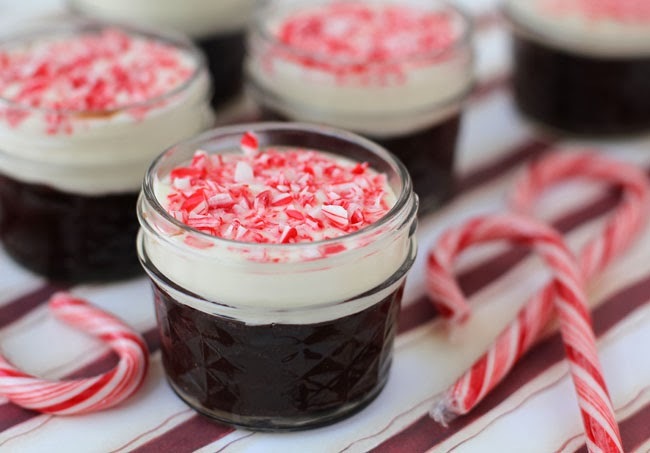 Dish out mousse and garnish with a sprig of fresh mint, crushed peppermint candy canes or cacao nibs – and enjoy!